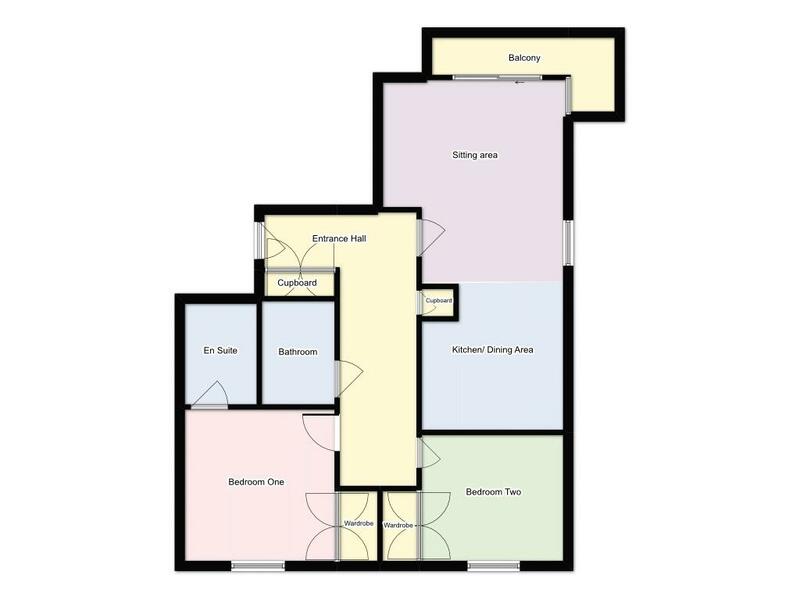 L-shaped hall with flat ceiling and smoke alarm, storage cupboard with shelving and housing meters and consumer unit, security entry phone system, wall mounted electric heater, thermostat control to wall, cupboard housing heating system. 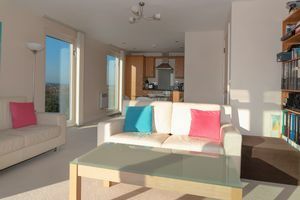 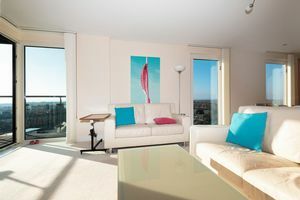 A very bright room with double glazed anodised aluminium windows and patio sliding door to the south and west leading to balcony with decking and glass panels overlooking the marina, harbour, Solent and Isle of Wight beyond. 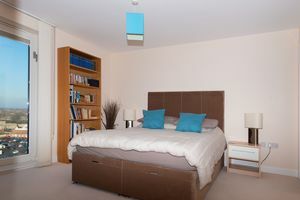 This room has the main TV, Satellite and media connection points and two wall mounted electric panel heaters. 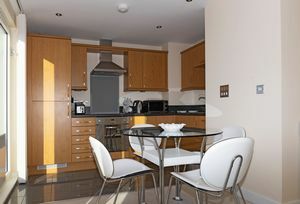 The dining area has space for a table and chairs. Fitted with a range of base cupboards and matching eye level units and under-unit lighting, integrated electric oven and ceramic hob with extractor hod over; integrated fridge/freezer, integrated dishwasher, integrated washing machine, one and a half bowl single drainer stainless steel sink unit with mixer tap and food waste macerator unit, ceramic tile flooring to kitchen area. A ceiling mounted heat alarm is installed. 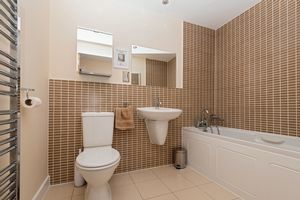 Flat ceiling and inset spotlighting extractor fan, close coupled W.C, wash hand basin, panelled bath and mixer tap and shower connection off, ladder style radiator, shaver point, fitted mirror, ceramic tiled flooring, complimentary tiling to walls. 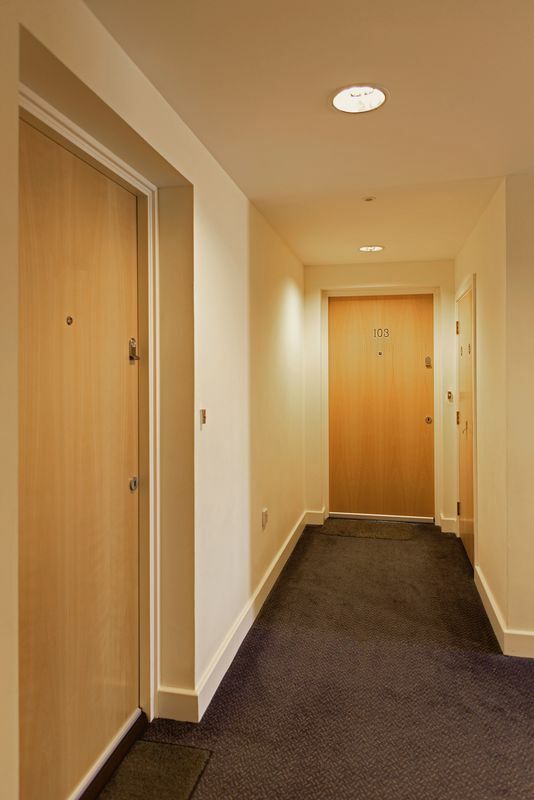 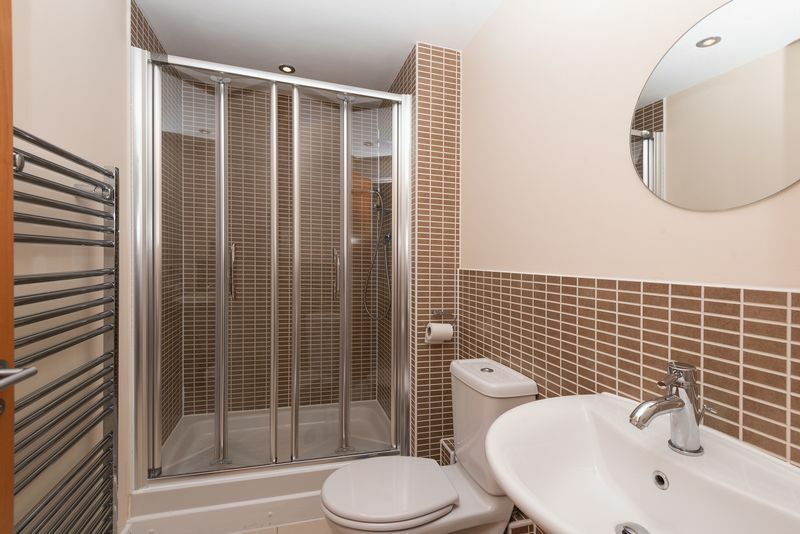 Flat ceiling with inset spotlighting, extractor fan, close coupled W.C, wash hand basin, double shower cubicle with main shower, ladder style radiator, ceramic tile flooring, complimentary tiling to walls, shaver point. 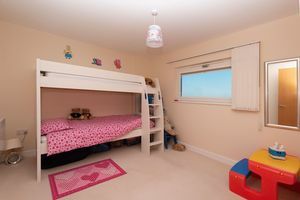 Flat ceiling, with mounted panel heater with aluminium double glazed window to rear elevation; built in double wardrobe. The apartment benefits from two allocated parking spaces within a secure gated development with communal maintained gardens. 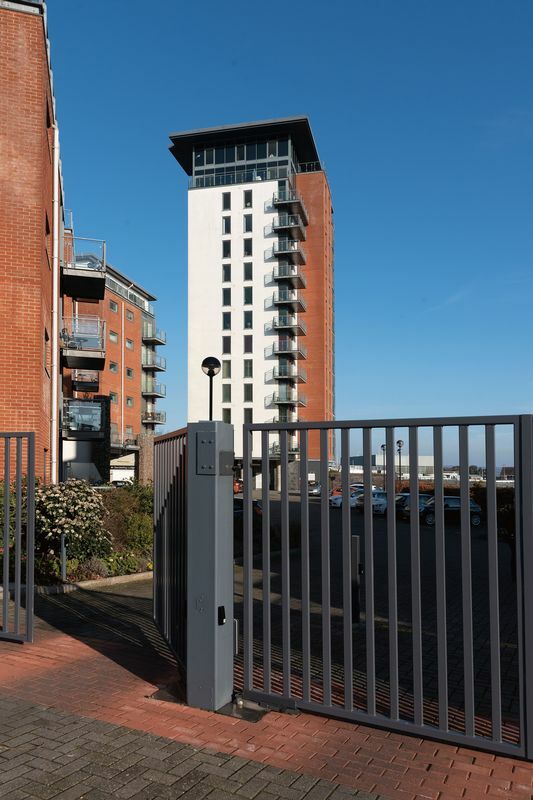 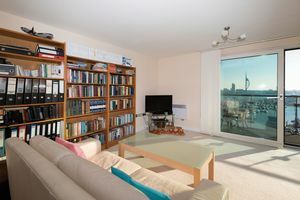 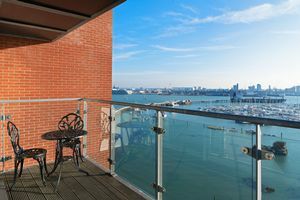 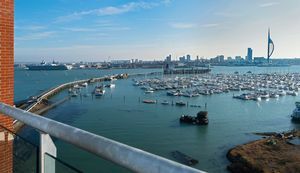 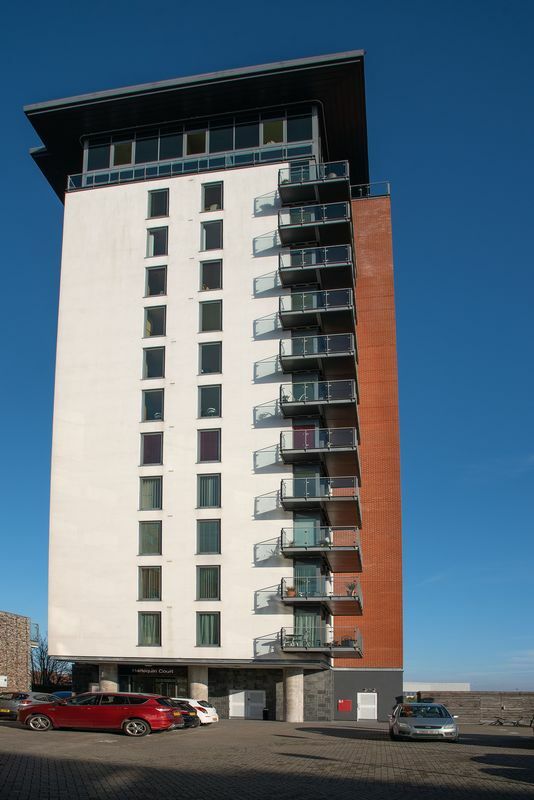 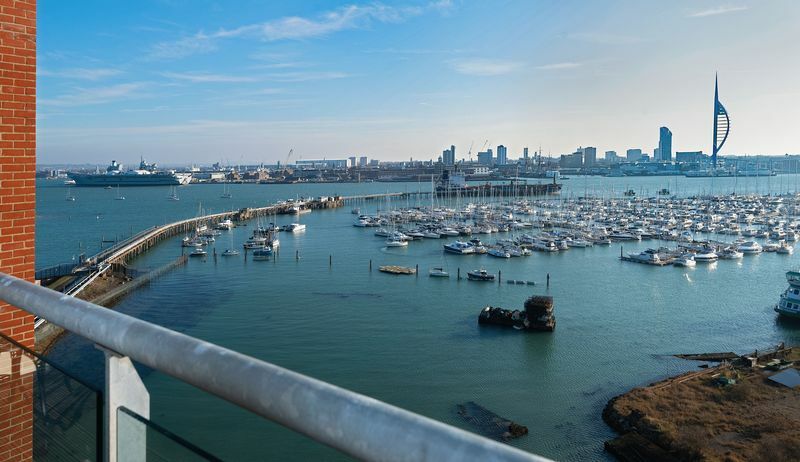 A stunning 10th floor apartment on the Gosport waterfront overlooking a marina, Portsmouth Harbour, the Spinnaker Tower and a panoramic view of the Solent & Isle of Wight. 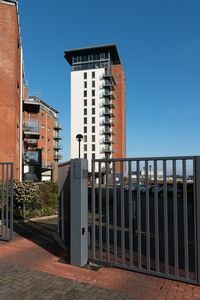 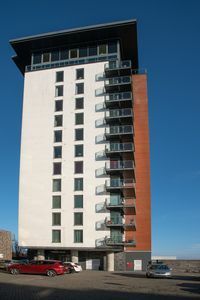 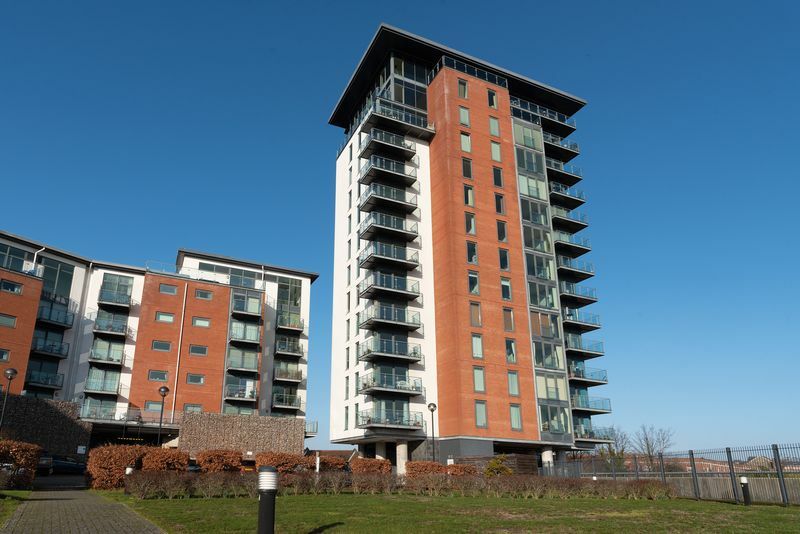 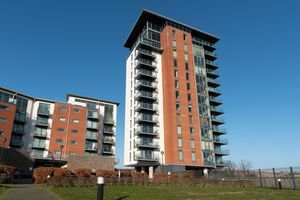 Rope Quays is in our opinion a highly regarded residential development within easy reach of Gosport town centre, Gosport Ferry and has a Medical Practice and Pharmacy immediately adjacent. 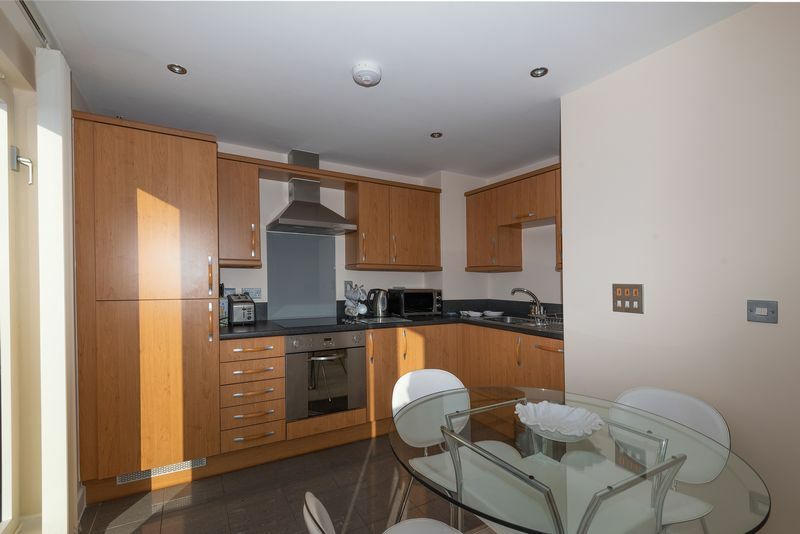 The property provides a light, spacious and contemporary feel, and is situated within a gated development with the advantage of two allocated secure parking spaces.